So, I may have a slot at an open mic (subject to someone hearing me, testing me through their equipment and offering me advice). It is not something I have ever done before: I had set it as one of my goals for ’50 things at 50′ (which is due to begin on 1/3/15- the day after I am 49. Yes that was a hint- something 40% proof or cold,hard cash would be good) so I have to make sure I can play some simple songs and sing convincingly. I am not a virtuoso. In fact, because I know I am not, it has taken me this long to get close. Some people said ‘you ought to have a go’, but I wouldn’t. It was only when someone collared me at a party, put me on the spot, that I got this far. But how do you do them: the songs? Do you do a homage to what you know, or adapt them to your style? I am trying to modify them to suit my simplicity, after watching videos, asking advice, practicing and getting a ‘feel’. I have 3 songs nearly at this stage , but the one that involves an unbelievable 5-6 chords and a capo, less so. This whole process is, I guess, ‘faithful improvisation’- reading what I have just written, I hope you can see how many people, how much learning and how much watching has got me to this point….. and how much more I will need, should I reach the mic and afterwards (if there is a next time…). All that, and I struggle to call myself a ‘guitarist’- maybe I will one day. If you are smart and read between the lines….apply the word ‘Christian’ to the same context: it isn’t an easily grabbed noun, but a loooooong verb…. I have an electric guitar. It is pink. That’s how I got a decent guitar cheap. 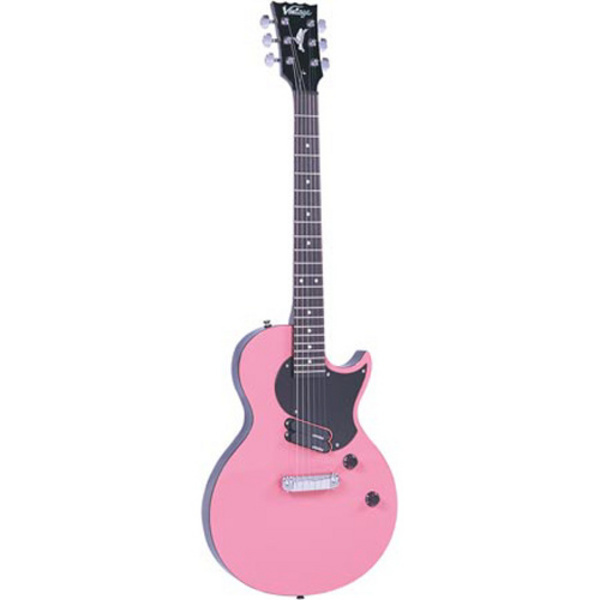 It has led to some risque euphemisms from various quarters about playing my pink guitar that I am too naive to get…. Anyway… today I return from holiday (that’s why the last few weeks on here have been brief and any non working links haven’t been corrected). This year, for the first time, I should have managed to take a guitar with me….subject to luggage and a wife who is more concerned about basic safety in the car than music… An acoustic is too bulky and would be too loud.